NWX BLOCK FILLER™ is available in either smooth (non-textured) or textured finishes. 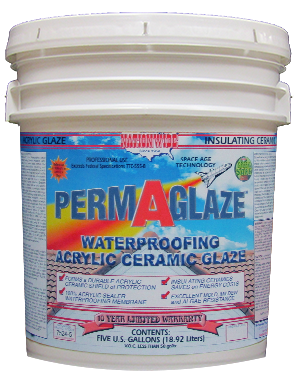 It is a modified acrylic, insulating ceramic, heavy-bodied block filler primer. 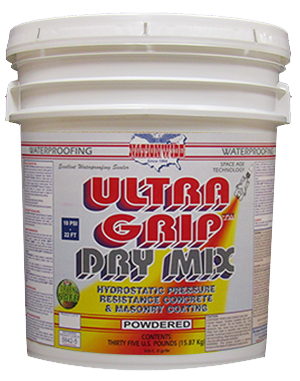 It is a waterborne, latex based, high solids content formula with ceramic pigments that seals and primes most surfaces preparing it for a top coat. 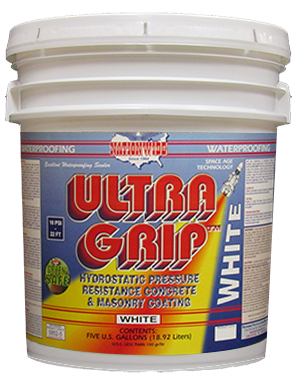 It is a primer that will bond, seal and help insulate most any new or existing exterior surface. 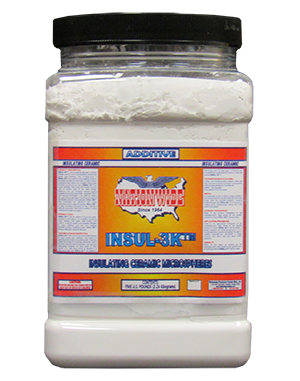 The high pigment concentration content provides excellent filling and sealing of the surface. The modified acrylic resin formula then forms a tight bond to the finish coat. This bond that is formed between NWX BLOCK FILLER™ and the finish coat eliminates any possibility of moisture under the finish coat thus extending the coatings life considerably. 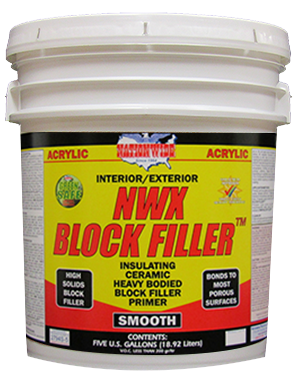 NWX BLOCK FILLER™ is standard in white, but is also available in a gray finish that absorbs heat allowing it to dry faster in exterior applications.